Can you imagine what $8,500 worth of burgers looks like? Those who attended The Game’s Fourth of July party might have a clue. TMZ exclusively reported Big D’s Burgers did The Game a solid by catering his Fourth of July party. The owner of Big D’s is allegedly suing The Game for the unpaid catering bill of $8,500. Big D’s rep told TMZ this isn’t the first time The Game hired him. 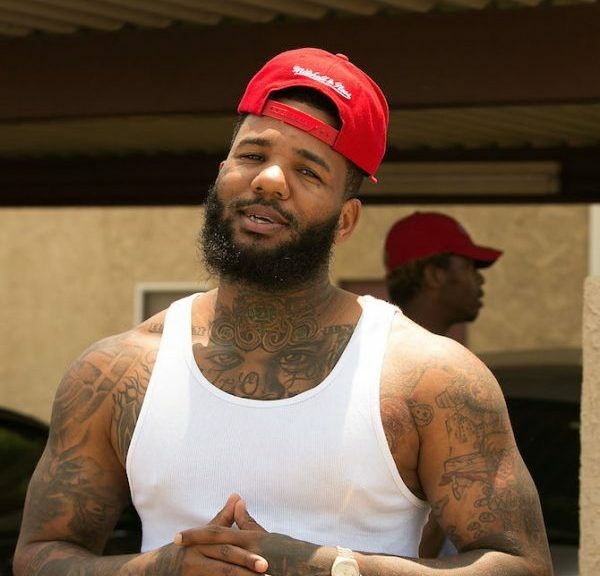 Previously, The Game allegedly paid his bills in cash. The Game reportedly told Big D’s to have enough food for 250 people, but nearly double that amount showed up. Big D’s claims they had to make a food run to accommodate the crowd, and that The Game asked them to also grab some alcohol and cleaning supplies. Big D’s rep told TMZ that The Game agreed to wire money to their account the next day, but it never happened. The Game’s manager told TMZ they never had a contract with Big D’s and they believed the party was being catered for free. Kenya Moore had enough of everyone talking about her marriage. Last week, rumors swirled that certain RHOA cast members were making it a top priority to expose Kenya’s marriage, or lack there of. Gwyneth Paltrow isn’t perfect. She admitted she’s messed up plenty of relationships with significant others. “I’ve f—ked up so many relationships,” Gwyneth told Girlboss Radio in an exclusive interview. “I’m actually a pretty good friend and a good sister and a daughter and a mother, but I am at my, potentially, most vulnerable and f—ked up in the romantic slice of the pie… it’s taken me a lot of work to get to the place where I have a good romantic relationship.” Gwyneth Paltrow has been dating TV writer and director Brad Falchuk for two years. After a successful first season of Martha and Snoop’s Potluck Dinner Party, VH1 is ready to launch season two. There’s no denying that the two work well together, and the trailer showed how “hot” this season will be! Don’t miss the season two premiere of Martha and Snoop’s Potluck Dinner Party is 10|9c on VH1. RHOA RECAP: JUST PUT ON A HAPPY FACE! Previous PostNew Music: Z-Ro “Houston 2Gether”Next PostMrs. Should I Keep My Last Name?